Before choosing a stone or hardwood flooring, look at the available options of luxury vinyl that Feel Good Floors in Lexington, TN, carries. Like natural stone and hardwood, you can have the luxurious allure and beauty, but at a cost that is budget friendly. The look of stone and hardwood LVT is a more economic and resilient option. The patterns, shapes, and shades can be used to create limitless interior fashions. 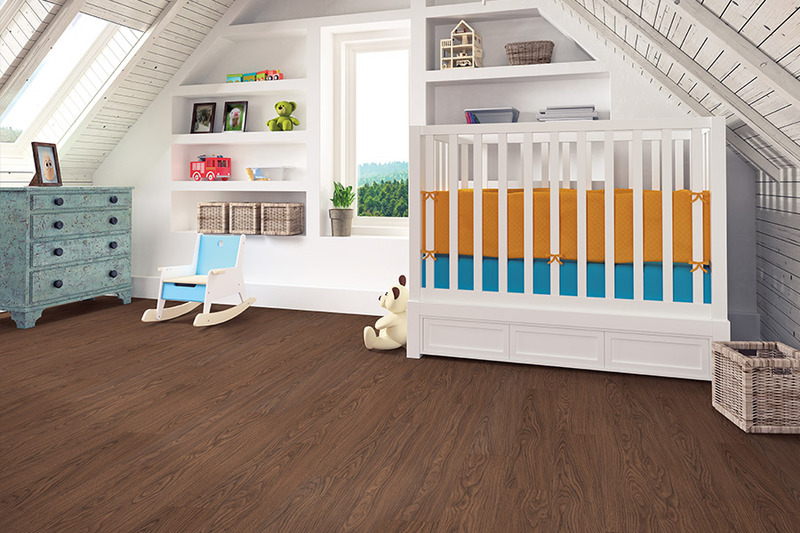 The layered texture of luxury vinyl tile and planks provide a flexible, comfortable quality that is warmer than wood, more stable than carpet and does not expand like hardwood exposed to humidity. Luxury vinyl tile has many advantages that stone does not offer. High traffic areas such as halls and foyers, and kitchens, and bathrooms, where debris is bothersome, benefit from sturdy, durable floor covering. 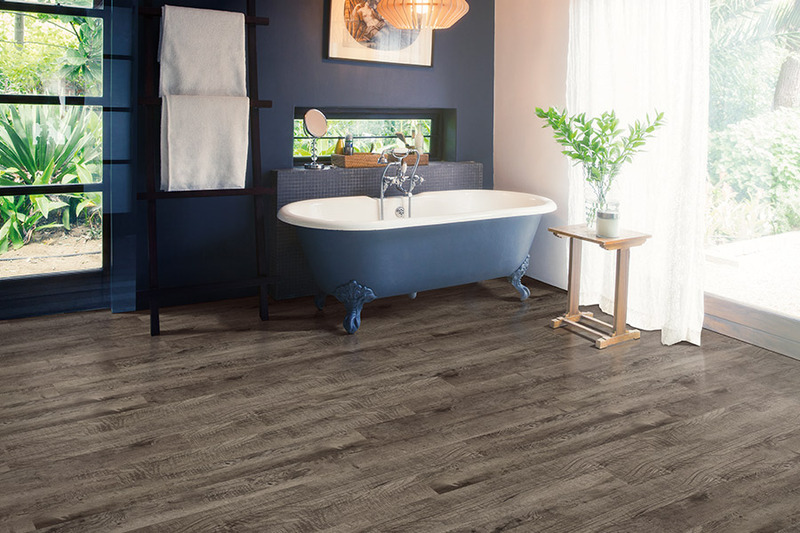 Luxury vinyl tile is the answer. LVT is long-lasting, and the care and upkeep are hassle-free. 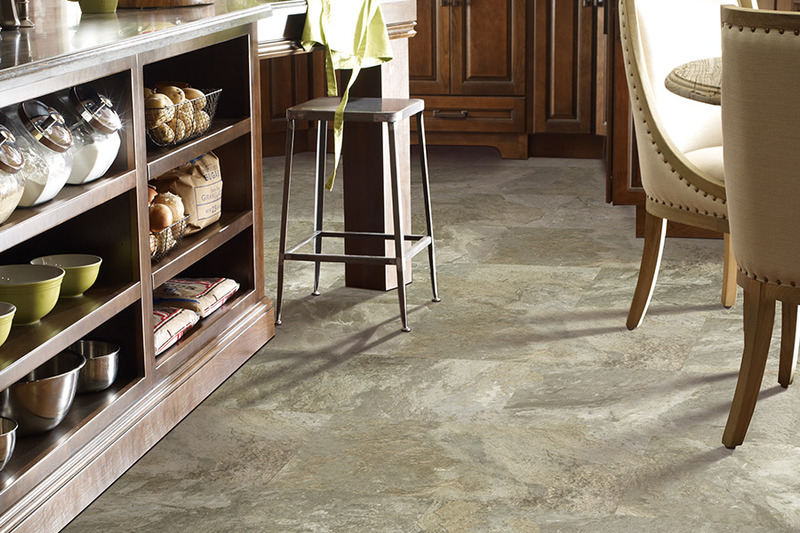 Luxury vinyl tile delivers unmatched performance, comfort, and lasting beauty. It is designed to capture the timeless look of ceramic and natural stone. A high-end stone visual can add dramatic benefit. The refreshing authenticity of marble, slate, travertine stone, quartz, and real ceramic is created with state- of-the-art manufacturing processing. Vibrant floors with the feel of natural texture result. The perfect blend of pattern and color on each luxury vinyl tile offers the most natural stone or slate visual. Luxury vinyl planks bring the natural beauty of stone and hardwood to a floor that becomes waterproof and stands up to high traffic. The installation of LVPs looks perfect in the home of people with busy lifestyles. Beautiful stone and wood looks are resilient, tough surfaces that easily handle heavy traffic, pets, and kids. 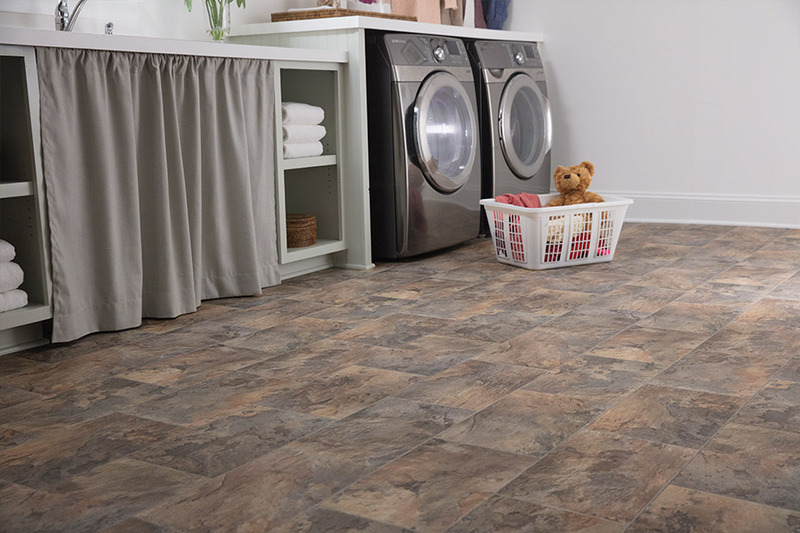 Because the luxury vinyl planks are waterproof, homeowners can have the beauty of authentic stone or natural hardwood anywhere in the home, even areas prone to moisture such as laundry rooms, basements, and bathrooms. The technology used in luxury vinyl planks captures the wood tones, grain patterns, and authentic looks of genuine wood planks. They are designed to withstand busy household demands. That means the natural beauty can be enjoyed without worry. 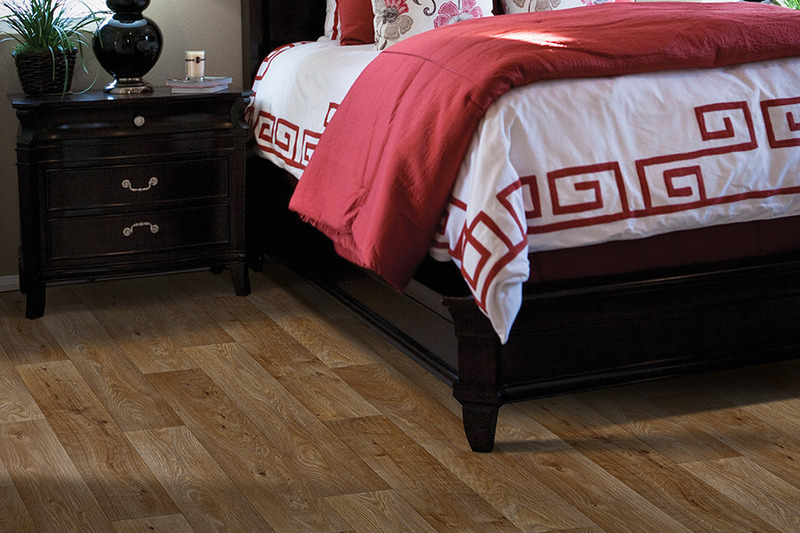 There are three primary layers of a luxury vinyl plank. The bottom layer is a tile backing that adds durability and strength. A design printed layer is applied that provides the realistic visuals. The top layer is applied in two steps. A clear protective film is applied that helps prevent gouges, tears, and rips. Enhanced urethane is on the top as a wear layer that is resistant to scuffs and scratches and is easy to clean. Visit our showroom in Lexington to see how luxury vinyl flooring can fit into your home and lifestyle.